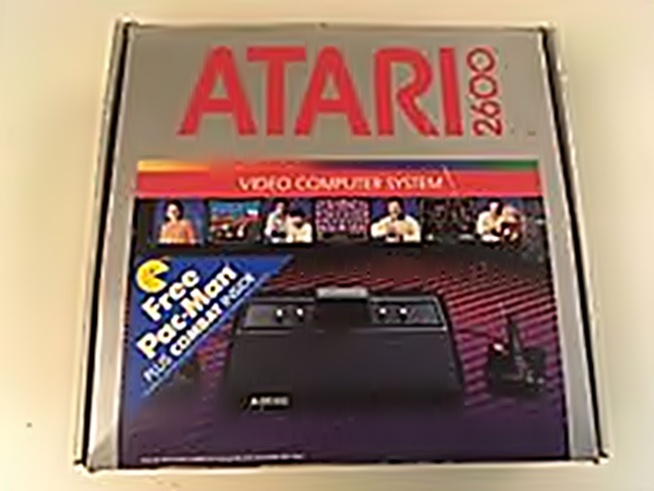 I am wondering what years and what models of Atari 2600 systems came bundled with the Combat cartridge. I know their are two versions of labels and the one I remember was the label with text only. Or was it the only cartridge that ever came with it? Thanks, just trying to remember fuzzy memories. I got a pal asteroids+combat bundle, both were picture labeled. Thanks. I had the sixer growing up but unsure if it was heavy or light. Did that model come from Sears along with the text only Combat? I haven't updated my site in a few years but this was the last count for cartridge and box variations. Not sure how many actually came with the system vs being sold on its own. Are the majoeity of these variations due to different factories in different countries? It just seems like a lot of changes made iver a relatively short period of time...I guess it's good to keep in mind that the industry was still new. Can you imagine games in the 90s era and onward having that many variants? Combat variations were made over a 9 year period. I wouldn't call that a short period of time. Most games (especially today) are made once. NES has a variety of variations too, which I hope to find a nice list. We're talking close to 40 years ago so I have no idea. That's cool to see, thanks. I definitely remember my cartridge being a dark black background. If Combat came with both the heavy and light sixer, I'll just have to guess it was a light. I think I got it new in 1981. The light sixer seemed to around a lot longer in the UK than the US. Got mine in '82 and it came with Combat. I think that the following year is when the four switch models came out in virtually the same box but were packed with Pac-Man.